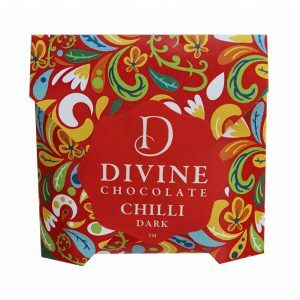 Beautiful chocolate crafted with care in New Zealand so you can enjoy a Divine moment. The ingredients used are gluten free and dairy free. It is produced in a facility that uses milk and nuts. Cacao 57%. 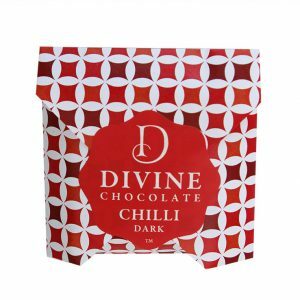 Cocoa solids, sugar, cocoa butter, soya lecithin and pure vanilla and chilli.